Toronto born actor Richard Davis has not one, but two films being released later this year, the bravoFact poignant drama Shahzad and the quirky dark comedy Psychic Playground. Shahzad, written and directed by Haya Waseem, follows an 11-year-old Pakistani boy who moves to another country with his father and has difficulty transitioning. Davis’ character, Richie, comforts Shahzad and becomes his best friend, which helps drive the film’s narrative of Shahzad discovering that his ‘home’ can be anywhere in the world, not just the place he was born. “The role was a favorite of mine because of the storyline and people involved in the project,” says Davis. The extremely gifted 11-year-old, a four-time Young Artist Award nominee has completed 18 films in the span of his extraordinary career over the last seven years, portraying a diverse range of characters from comedy to drama in TV and Film. 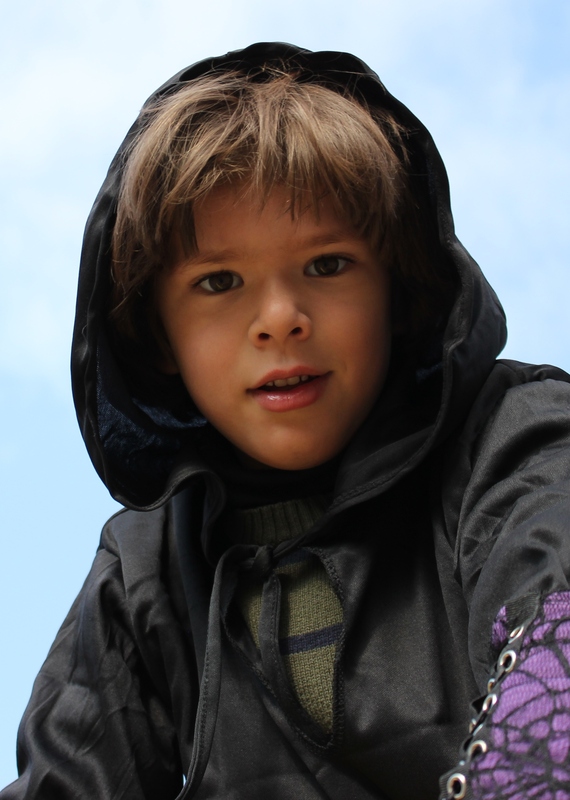 Davis is best known for his character in Marco Baldonado’s The Comeback Kid, as well as Ken Finkleman’s (The Newsroom) HBO Canada hit series Good Dog, which he landed at the age of 5. The series Good Dog focused on a TV producer who attempts to launch a reality show centered on his life with his model girlfriend and her son, played by Davis. He also starred in an episode of Murdoch Mysteries, Copper, and The Ron James Show. The busy actor owes a large part of his career to his intellect as Davis has an amazingly high oral I.Q. in the 99.9 percentile, as well as being an adept speed-reader. “Being a speed reader really comes in handy when you only have 24 to 48 hours to prepare for the audition,” says the astute actor. This year Davis also had a role in director Sean Cisterna’s (Moon Point, 30 Ghosts) recent feature film Full Out. The film, which debuted on Canada’s Family Channel in September and helped boost the network to the No. 1 spot as the leading specialty kid’s network in the country, is based on the true story of gymnast Ariana Berlin, whose dream to compete in the Olympics was derailed after a car accident. The inspirational movie, which starred Jennifer Beals (The “L” Word, Flashdance, Proof), Ana Golja and Sarah Fisher (both from Degrassi: The Next Generation), focuses on Berlin’s recovery and comeback to gymnastics. In the film Davis’ character, a young boy who Berlin meets at the recovery center, is also struggling to heal and work past his own traumatic accident, which ultimately helps Berlin come to terms with and conquer her own obstacles. While Davis has a mature understanding for dramatic roles, his latest film displays him in a comedic light in writer and director Sarah Pugsley’s Psychic Playground. In this oddball film about an eccentric boy who has an unusual approach to show and tell in the classroom, Davis takes on the starring role of Dez. With three films released just this year, it’s safe to say that the exceptional and wise beyond his years Canadian actor will be looking onward and upward as 2016 steadily approaches.